Polk County Sheriff Grady Judd issued a special commendation on Monday to Polk State College for the performance of its public safety training institute, which recently became the first of its kind to receive Accreditation with Excellence from the premiere law enforcement credentialing authority. The commendation was awarded during a senior staff meeting at the Sheriff’s Operations Center in Winter Haven. “Accreditation sets the benchmark for where we are and where we’re going,” Judd said during the presentation of the commendation, describing the Institute as a “world class” training operation. Judd’s written commendation recognizes numerous achievements by the Polk State Kenneth C. Thompson Institute of Public Safety, including its receipt earlier this year of the Accreditation with Excellence Award from the Commission on Accreditation for Law Enforcement Agencies Inc. (CALEA). The Institute was the first training academy associated with a college or university to receive Accreditation with Excellence. 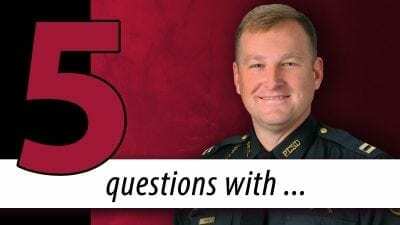 Polk State’s Institute has held CALEA accreditation since 2007, the first academy of its kind to achieve the distinction. Reaccreditations have been awarded every three years since. In its 2012 assessment, Polk State’s Institute was found to be in 100 percent compliance with CALEA’s standards. Virginia-based CALEA was established in 1979 to improve the delivery of public safety services. It does this primarily by maintaining a body of standards developed by public safety practitioners that cover a wide range of public safety initiatives. Law enforcement agencies, public safety communications agencies, campus security forces and training academies that meet the standards receive CALEA accreditation. The Accreditation with Excellence Award was established in 2011 to recognize agencies that effectively use their CALEA accreditation to set the benchmark for public safety professionalism. Agencies that receive the award must have received at least two consecutive accreditations and be free of any noncompliance issues on their most recent assessments. Florida Criminal Justice Standards and Training Commission. The Institute was found to be in compliance with all standards of the commission, achieving its third consecutive perfect audit. “On behalf of the (PCSO) executive staff, your fellow peers, and all your students who have gone on to do great things because of your unwavering determination for excellence, I commend you for a job well done,” Judd wrote in his recognition of the College. Accepting the commendation on behalf of the College were President Eileen Holden, Institute Director Capt. Bill Mann, Vice President of Administration and Chief Financial Officer Peter Elliott, Polk State Winter Haven Provost Sharon Miller, Controller Teresa Vorous, and members of the Institute’s staff. 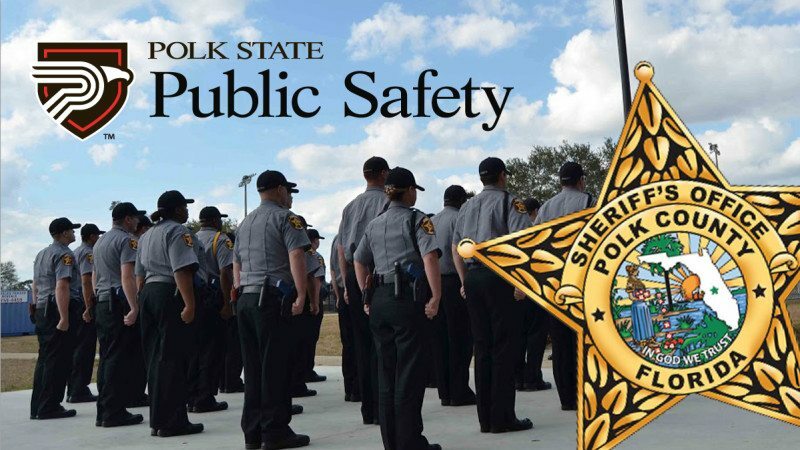 In addition to training provided through the Institute, Polk State Public Safety offers associate’s and bachelor’s degrees in Criminal Justice, as well training and degrees in Emergency Medical Services and Fire Science.